The mystery, the beauty, the unlimited delight. . . ultimate power . . .
Do you want to be beautiful? Healthy? Wealthy? Wise? Do you want life to be relaxing, joyful, exciting or overflowing with domestic contentment? Someone, somewhere, has the magical formula to give you whatever you want. That’s the magic of this word. The magic can refer to several things. This is the idea of the magic pill. It’s the power of a simple idea: what are you selling that will make people’s lives easier. The product or service is given the idea of magical properties. Obviously, none of this is literal, but a powerful tool to stimulate the imagination! The product could make you feel happier. For example, you could be offering a meditation programme with magical soothing power. An aromatherapy oil could magically ease stress and make the client feel rejuvenated and able to face the world again. A natural weight loss aid could boast results so good they like magic. A motivational speaker could be considered to have a “magical” and inspiring way of speaking. The atmosphere or emotion created by what you’re selling. The product or service makes people feel fantastic by wowing the senses. A magical beachside resort conjures up ideas of soft, twinkling lights, romantic music, serenity. A magical city could have spectacular architecture. A restaurant tucked away on a winding backstreet might have a magical atmosphere. “Magical” could refer to the stunning beauty of nature. For example, you might experience the awe of the magical beauty of the glow worm caves in Waitomo, New Zealand. Both product or service could give you a wonderful feeling. 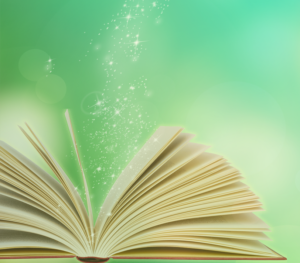 Use the word “magical” sparingly in your sales copy. You don’t want to ruin its potency. Besides, there could be much better words to describe your product or service. I’m here to help with that. So, click to learn more about what my content and copywriting services include. Want to learn more? Contact me about my services.